Found the original picture online, the building was so elegant, with the stairs outside. 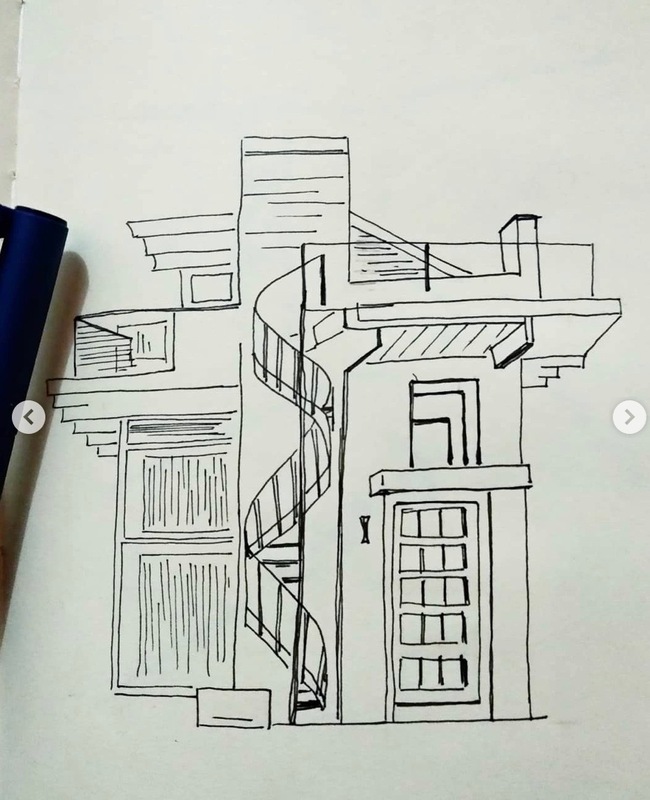 I thought it would not be a good idea drawing something so architect. Especially with the existence of the spiral shape of the stairs. 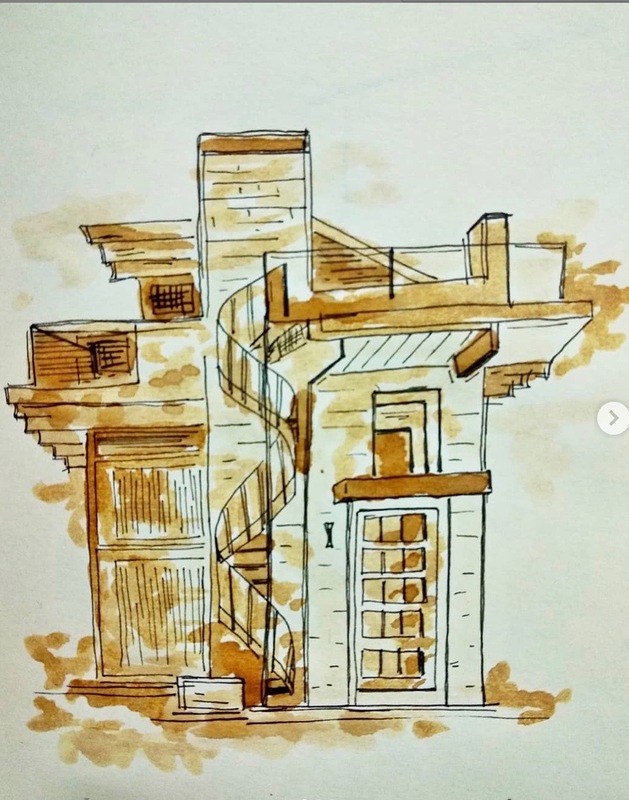 All the image for post with the tittle ” Coffee sketching #..” can be found on instagram account @sketsakupi. All are mine.